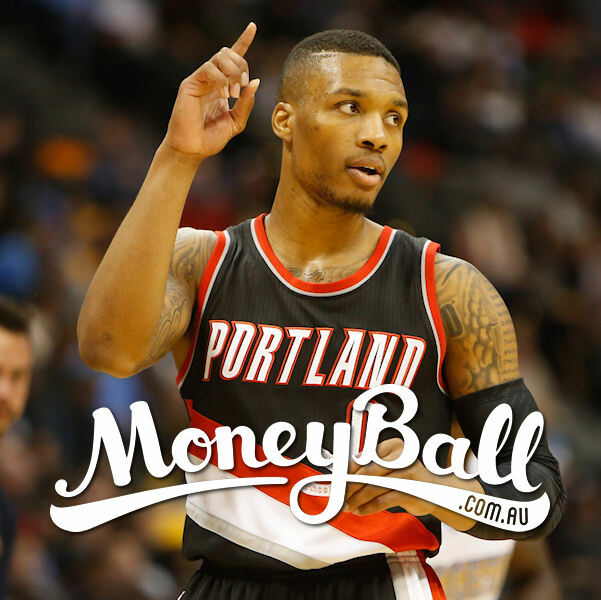 Pick your NBA squad for Sunday’s NBA action with Pearcey’s Picks for Moneyball’s epic contests. Sunday’s contests include the Guaranteed $3,500 Sunday Bank ($15 entry) as well as a Rebound Special, a Lay-up Special (both $10 entry) and an Airball Special ($5 entry). There is also a $2 Bank and a $5 Bank as well as the usual H2H, Double-up and other competitions to satisfy your Daily Fantasy Sports appetite! Lillard has been badly out of form of late but against the very ordinary Lakers backcourt he should have a field day. In an uptempo game against the Pelican MCW should have lots of opportunities to scoure valuable Fantasy Points. Has been great value of the past week and should get plenty of minutes again here. Starting to really show why he is so highly touted. The Greek Freak should have all his skills on display against the Pelicans. KCP has cracked 30 Fantasy Points in 3 of his past 6 games and should be good for that again here against the Nuggets. Booker has been great in his past 2 games and with all the Suns injuries he should see plenty of the ball again . Was well held in his last game, against the Warriors, so look for him to bounce back strong against the Kings. Has been absolutely on fire for the past month and is very tough to go past at his current price. If Gay sits again with injury then Casspi will be a great plug-and-play option. Cousins is easily the hottest player in the league right now and no one can stop him in this current form. With Coach Blatt fired the players will have a point to prove. Look for Thompson to provide great value off the bench. Gasol is a game-time decision but if he plays he should dominate against the rookie Towns. Against an extremely undermanned Suns frontcourt Horford should be the pick of the Centres for this day’s slate. The young rookie is getting more opportunities lately and with that comes greater consistency and higher Fantasy scores.